Lock in a great price for NIDUM - Casual Luxury Hotel – rated 8.9 by recent guests! The beds where wonderful and everything was like expect. A little pricy food. We had an amazing time. The staff was super friendly and nice. The view was just amazing. It is more than worth it. I recomend it and I will come back again! 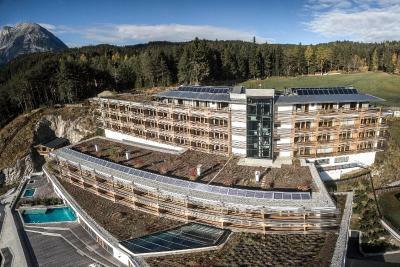 Very modern hotel with a great spa and an absolutely amazing restaurant (the salad bar for dinner was great). Our room was very spacious with a super comfy sofa to sleep on as an extra bed and a modern bathroom. 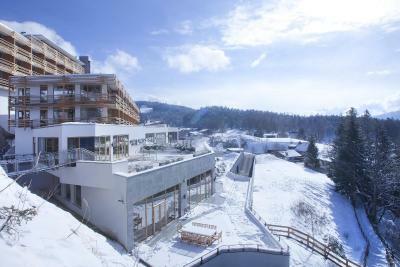 Both cross-country skiing trails and down-hill slopes are very close to the hotel (5 min walking). 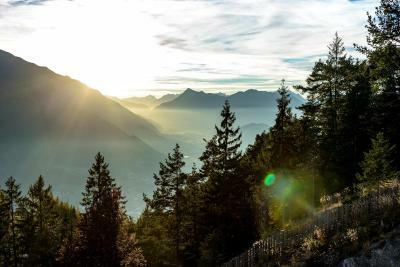 There are trails which will bring you to Seefeld town centre. everything was perfect. We've been treated amazingly. 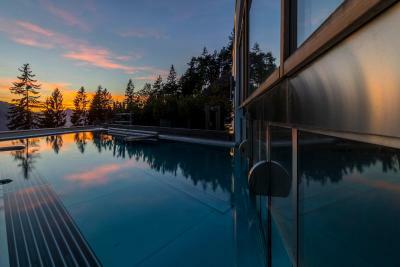 The room was outstanding, the pool is lovely with a breathtaking view. Food is great, friendly staff, beautiful hotel & lovely spa. 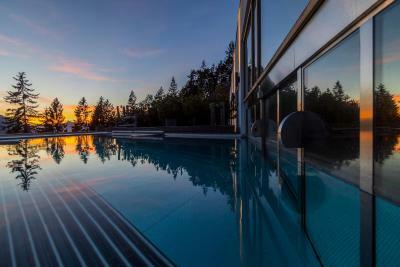 This Hotel belongs now to my Top 5 around the world! There is really nothing to say negative! But to say many positive! 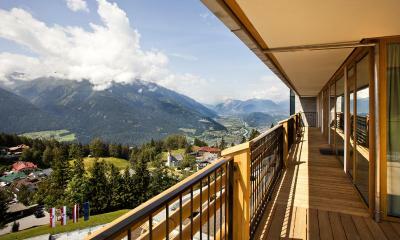 Starting with the great rooms and the unbelievable nice view from the balcony. 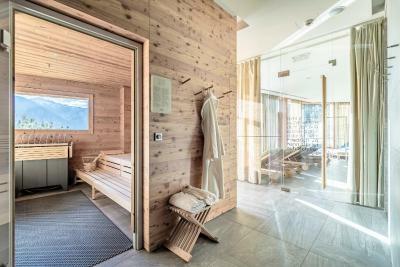 The SPA has every thing you need several type of Sauna including great views to the mountains! The dinner was extra ordinary good. Excellent food, a great choice of wine, very friendly employees which always take care that you will feel like a king. Breakfast followed my experience from the day before. Just the best of the best. For sure I will come back! We spent 7 days on Half Board enjoying this fabulous hotel experience. 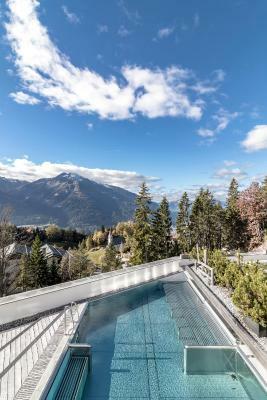 The location of this modern contemporary hotel provides ALL rooms with exceptional views across the valley to the snow capped mountains with our corner suite having an extensive balcony. 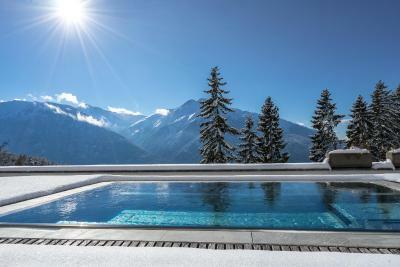 The pool , indoor / outdoor, and spa area enjoy the same breathtaking vista as the rooms. The excellent dinner and breakfasts are provided by a creative and attentive chef All of the above is supported by a young , enthusiastic and vibrant staff all of whom we found to be helpful and friendly. 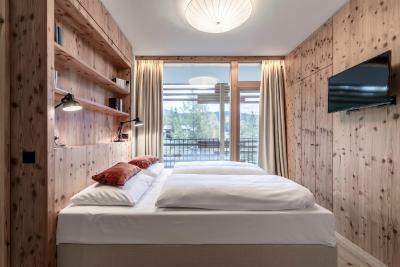 The location in the mountains close to Seefeld , the excellent Wildmoos Golf Course , immediately adjacent walking & mountain bike ( free hire from the hotel ) trails would be difficult to match. Casual Luxury is an accurate description from the moment the car is parked in the convenient underground car park and throughout the stay. Modern mountain hotel with very nice rooms. Public areas were nice and comfortable with friendly staff. What an amazing hotel and staff! I had a wonderful time and cant wait to come back!! 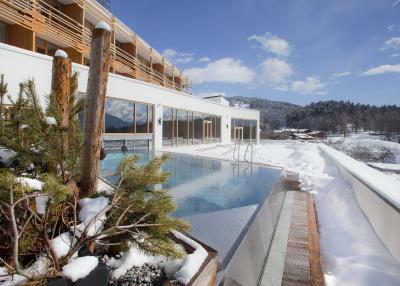 Opening in December 2016, NIDUM - Casual Luxury Hotel offers an outdoor pool, an indoor pool, and a 4.9 ft² spa area with a hot tub, several saunas, massage treatments and a cosmetic studio, located in Mösern bei Seefeld and 0.6 mi from the Gschwandtkopf Ski Area. 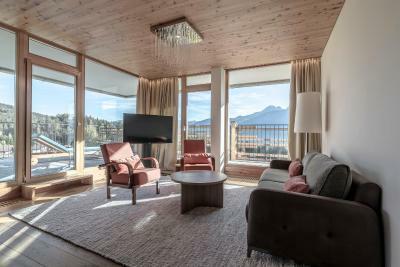 Each of the spacious rooms and suites comes with a furnished south-facing balcony or terrace with mountain views, a tablet, an Illy espresso machine, a flat-screen TV, a mini-bar, a safety deposit box, and an en-suite modern bathroom with bathrobes. 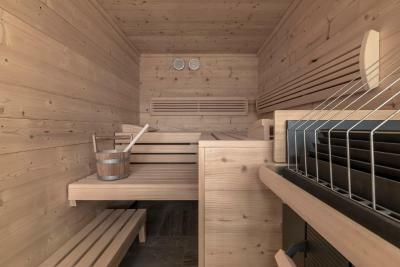 The saunas of the spa area include a sauna with panoramic views, a Bio sauna, and a steam bath. 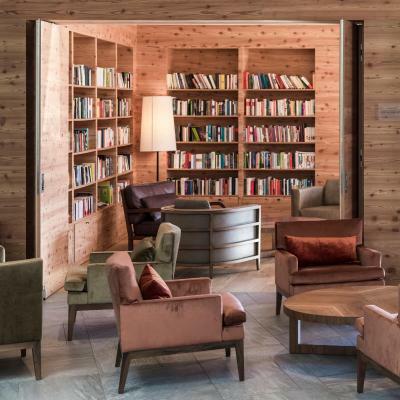 Guests benefit from a library with over 2,000 books. 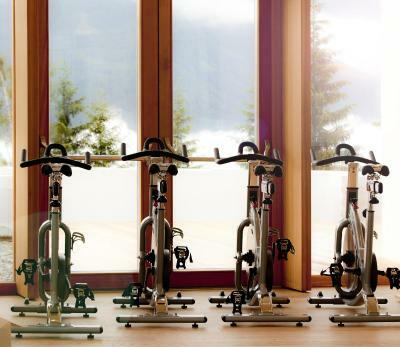 Free WiFi is available in all areas, and complimentary garage parking is offered to guests. Innsbruck Airport is 9.9 mi away. 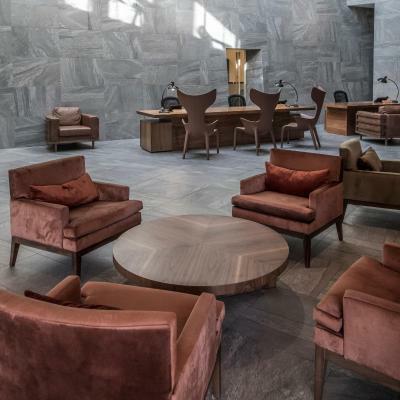 When would you like to stay at NIDUM - Casual Luxury Hotel? 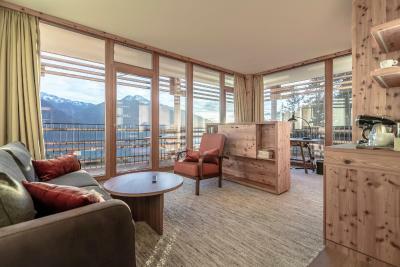 This suite features 1 bedroom, 2 separate bathrooms with a bath or shower, and a south-facing balcony with mountain views. An Illy coffee machine is also available. 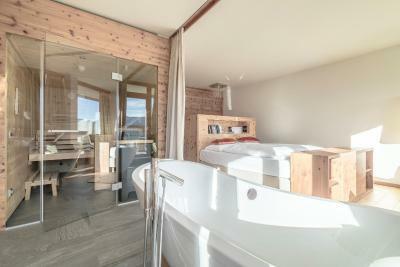 This room features a south-facing balcony with mountain views, 1 bathroom, and a separate toilet. An Illy coffee machine is also available. 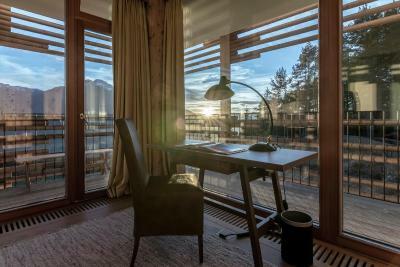 This exceptionally large suite offers 360-degree panoramic views of the surrounding mountains, as well as a private sauna. 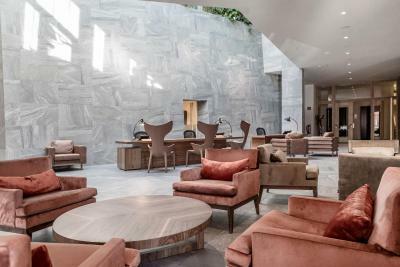 It features 2 spacious bedrooms with private bathrooms and separate toilets, and provides exclusive access to the large rooftop garden and south-facing terrace. An Illy coffee machine is also available. 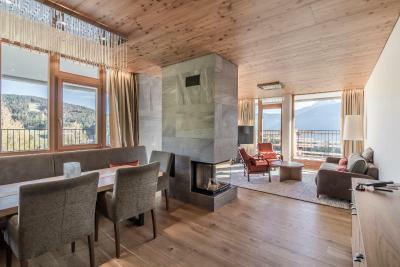 This spacious suite features a south-facing balcony with mountain views, a private sauna, 2 bedrooms, and 2 bathrooms with separate toilets. An Illy coffee machine is also available. 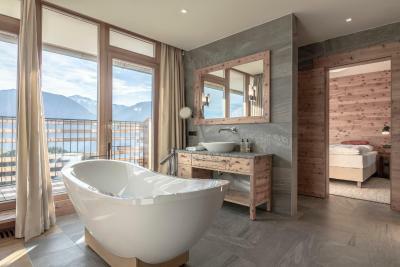 This room features a south-facing balcony with mountain views, panoramic windows, a bathroom with a bath, and a separate toilet. An Illy coffee machine is also available. 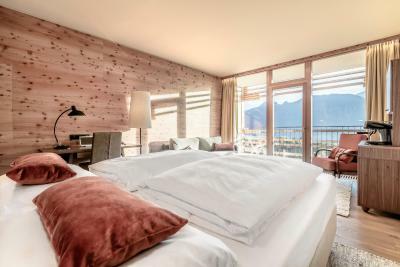 This room features a south-facing balcony with mountain views, panoramic windows, a spacious bathroom, a shower in the room, and a separate toilet. An Illy coffee machine is also available. 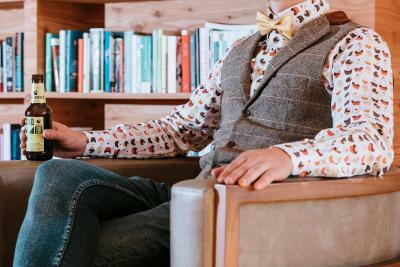 House Rules NIDUM - Casual Luxury Hotel takes special requests – add in the next step! NIDUM - Casual Luxury Hotel accepts these cards and reserves the right to temporarily hold an amount prior to arrival. 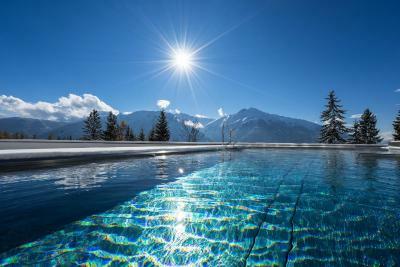 We felt that the swimming pool was not warm enough being a half outdoor pool. I know that many other guests thought this way. Would be great to see this improved when we come back for our next stay. Everything else was perfect. Amazing location and view, absolutely superb. There are no cons for this hotel. The Only thing I didn't like was the pillow. In spa /restaurant aria no menu or anything in English. The Spa was a let down. Requested a treatment but were not contacted until the next day when it was too late. No staff around during our visit to the Spa at all. I would have like to have one of the 3 restaurants as a la carte restaurant as we are not a friend of menu diners.